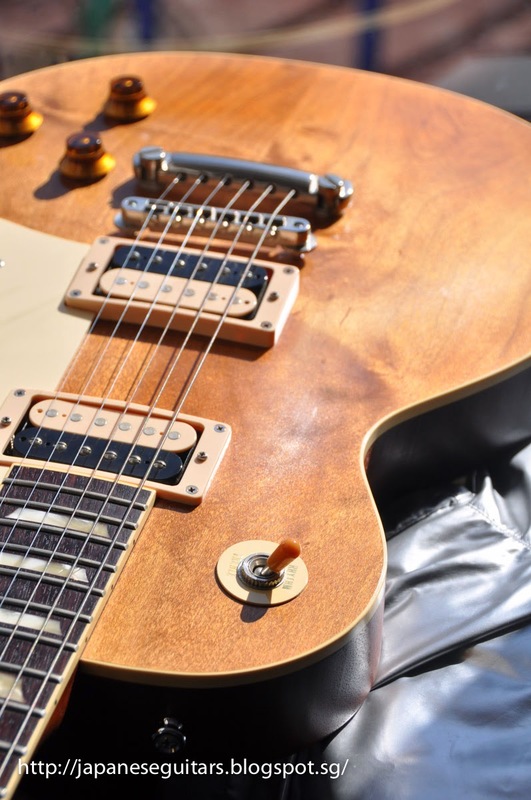 Japanese Guitars: Bacchus, Bacchus, Bacchus! Yes, it has been almost a year since I posted anything here but no, Aoyama Oyaji is not done yet. I have been meaning to post a bit about Bacchus guitars which have been around since the 1990s and are made by Deviser in Nagano. 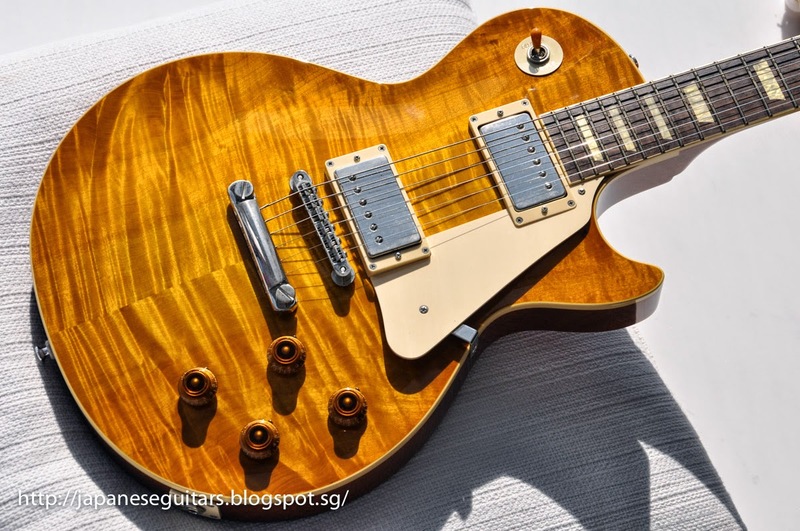 They have been making Gibson and Fender copies and They don't have much recognition outside of Japan and even in Japan compared they are not well known to Tokai and the older Burny and Greco guitars. 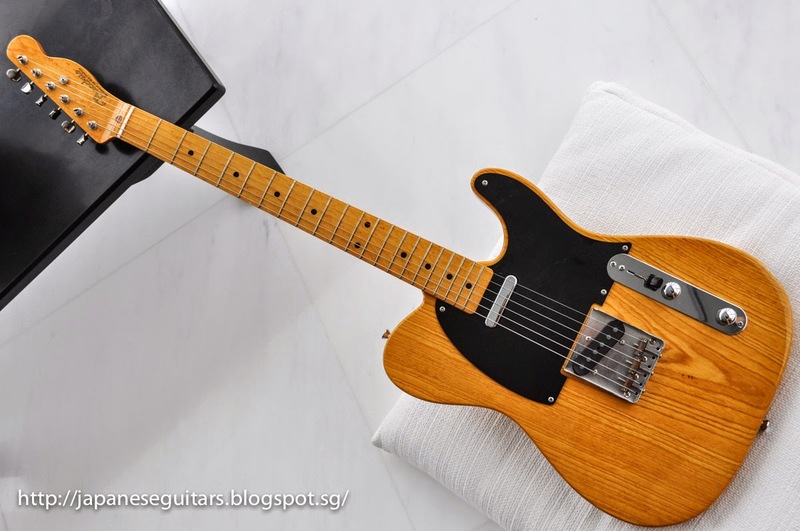 Bacchus also has guitars made in China and the Philippines and it is hard to find clear information about specs and years for older guitars so you can say that there is some confusion around the Bacchus brand. 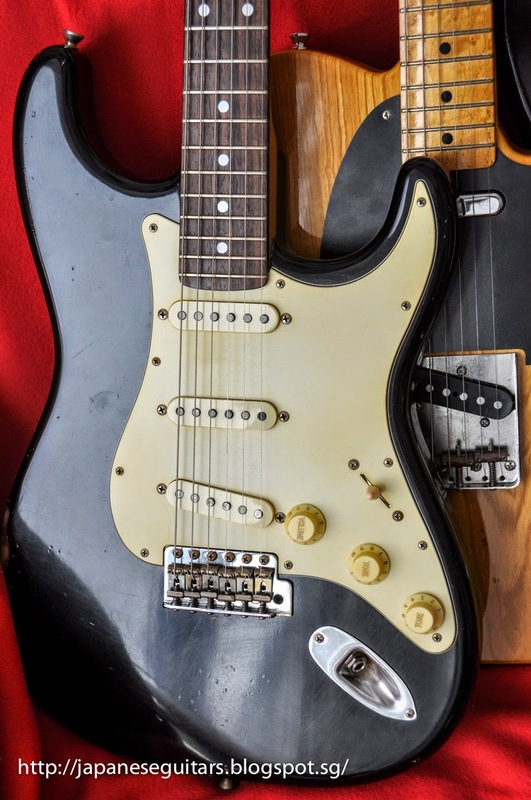 I've had a few strats, teles and LPs over the years and am always tempted when I see a Bacchus classic or vintage series for sale. Deviser makes these guitars in small runs and there is lots of variation in the wood used and the finishes. They aren't all to my liking as they have even had some pink and green LPs but each to their own, right? In any case, here are a few examples for reference. 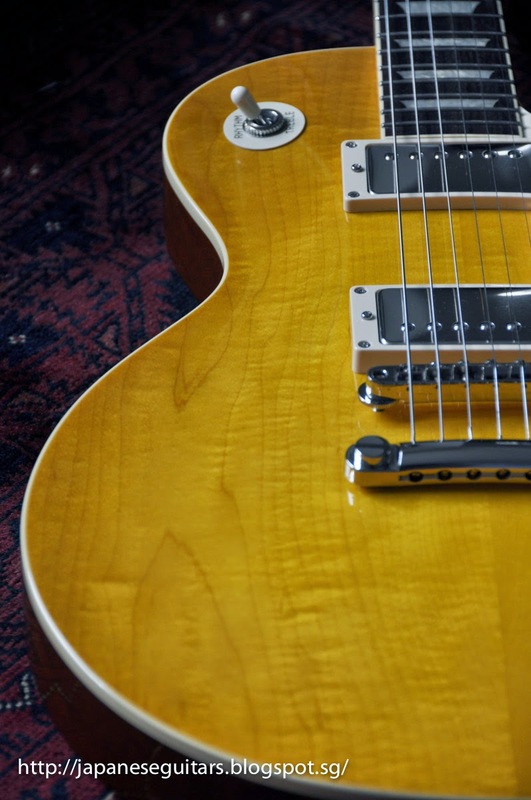 Here is an oil-finished Bacchus vintage series LP. It had a 1-piece body and stock zebra pickups. The neck was fairly thin compared to the more recent LPs. 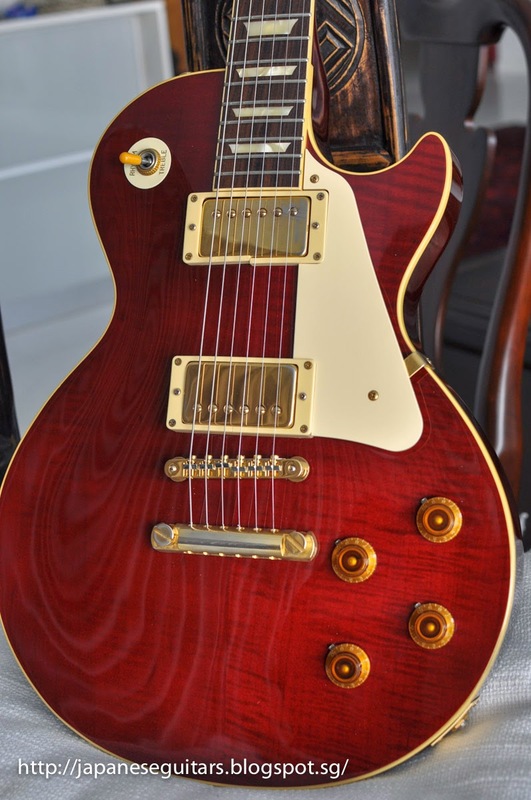 This Classic Series flametop is a recent acquisition. 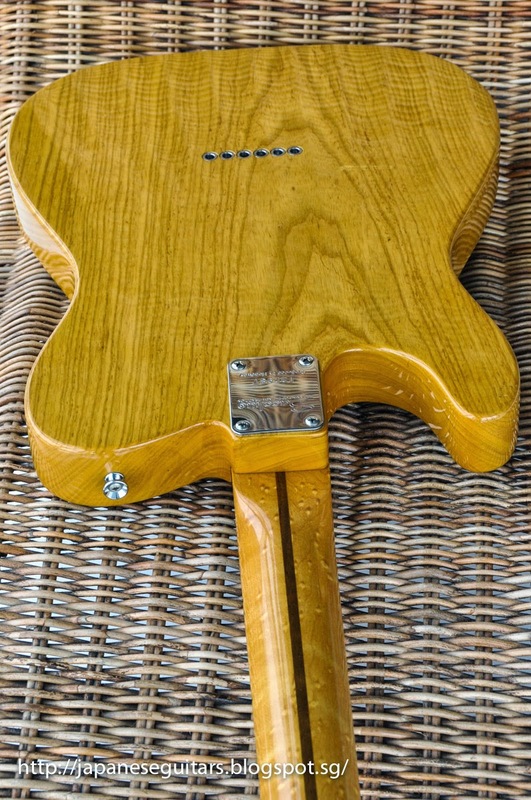 One-piece back, lacquer finish and a fat 58'-style neck. This is one of the early Classic Series plaintops. Lots of mild flame with a lemon drop finish. I don't know why I ever sold this. I bought it new direct from Deviser and ended up selling it for the same price after I had a few too many guitars (is there such a thing?). The new owner thought the nut was cut a bit high and I think he was right. I guess nothing is 100% perfect. This tele from Yahoo Auctions was a nice surprise. One-piece body, all-nitro finish, birdseye neck and light at 3.1 kg. It came with a Bacchus rectangular hardcase and Lindy Fralin pickups. Vintage series special run tele, same as below. Special order? Nitro finish, 1-piece body, birdseye neck and only 3.1 kg. Bacchus has had relic models for several years now and do a decent job. They are not in the same league as Fender custom shop or Tom Murphy work but for the price and quality I think it is pretty decent. I think this strat is done tastefully and plays great. A relic LP model I had also had decent simulated wear without looking too fake. I wish I knew more about this model. Solid flame top, lacquer finish and a red top. Perhaps it was a custom order of some kind. There are some later Bacchus models that are all-nitro finish and have Brazilian rosewood fretboards (look at the BLS-DX model on this page!). I haven't been able to find one of those but will keep looking. 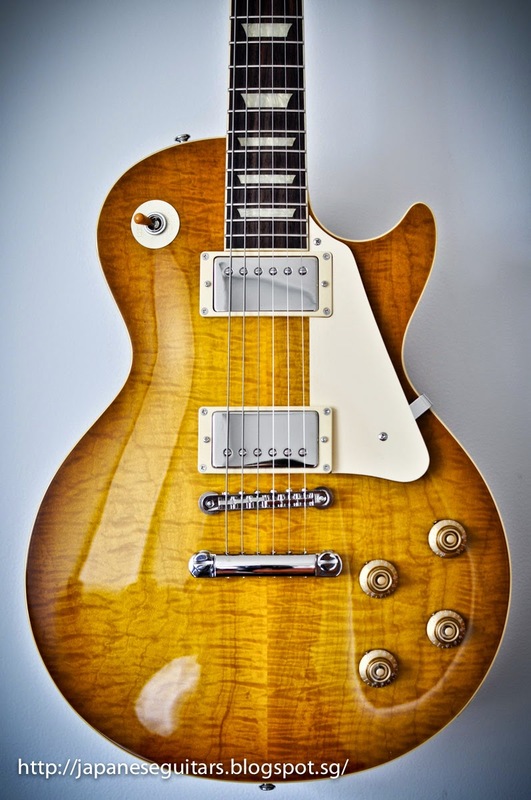 Classic Series Flametop. Special order?